I am extremely fortunate to count among my friends and colleagues a number of extremely talented artists, and the pseudonymous ‘Hodari Nandu’ (aka ‘Justin Case’) is one of these very gifted persons, as immediately demonstrated by the particularly vibrant example of his artwork presented above (click it to enlarge it), which showcases two most remarkable island-confined species. 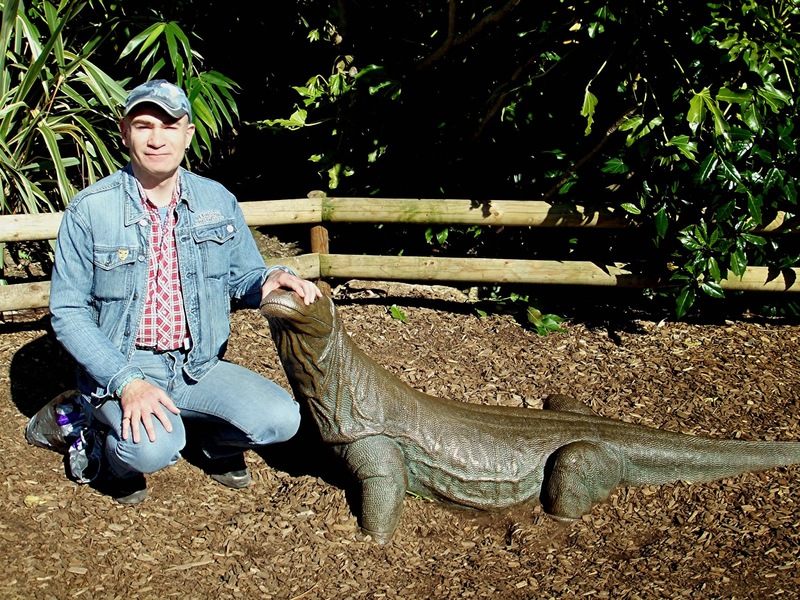 Where on Earth would you find all within the very selfsame location a unique, Alice-in-Wonderland-reminiscent assemblage of mega-rats and mini-humans, gargantuan lizards, dwarf elephants, and gigantic storks? Only on Flores – a small island in Indonesia‘s Lesser Sundas group that provides some classic examples of both island gigantism and insular dwarfism. Between 20,000 and 10,000 years ago, it was home to: two extra-large species of giant rat, Papagomys armandvillei and P. theodorverhoeveni, the former of which still survives today (and indeed, according to some researchers the latter may do too); a dwarf subspecies of elephant-related stegodont proboscidean Stegodon florensis insularis, which died out around 12,000 years ago and is the youngest stegodont form on record from southeast Asia; the Komodo dragon Varanus komodoensis, the world’s largest living species of lizard, which still survives on Flores today (as well as on the neighbouring islands of Komodo, Rintja, and Padar) and undoubtedly preyed upon Flores’s dwarf stegodonts; plus the two highly significant species featured in this ShukerNature article’s opening illustration. 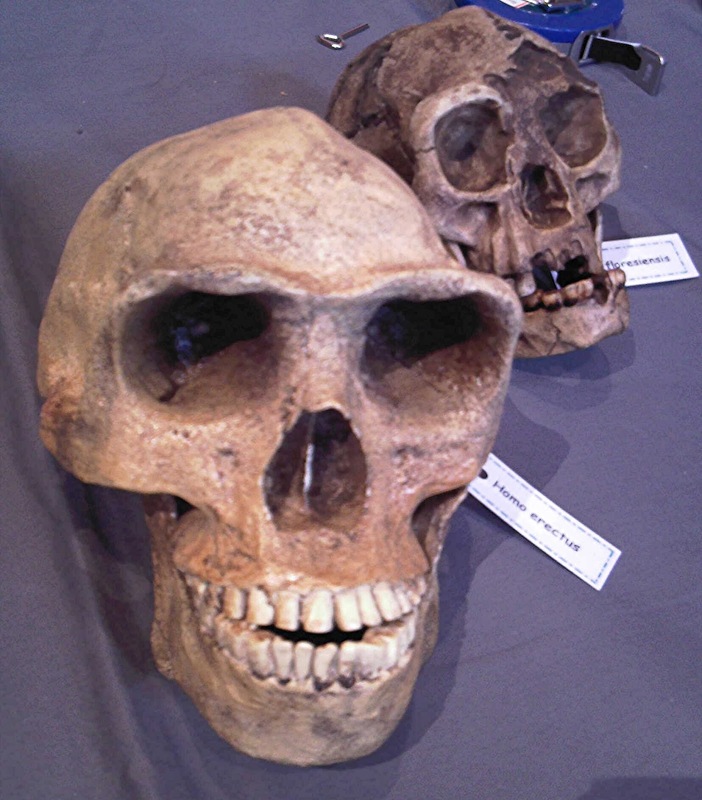 One of these is the now world-famous ‘hobbit’ – the informal nickname given to Flores Man Homo floresiensis. With its most complete recorded specimen estimated at approximately 18,000 years old, this controversial, diminutive species of hominid apparently stood little more than 3 ft tall, may be descended from Homo erectus, and is believed to represent another case of insular dwarfism. Its first scientifically-documented remains were discovered in September 2004 at Liang Bua Cave in western Flores. And the other species, whose remains were also uncovered in that very same cave, may have been one of the Flores hobbits’ deadliest antagonists. It is a marabou stork, but far bigger than any of today’s trio of marabou species. Yet it remained undescribed by science until as recently as 2010. 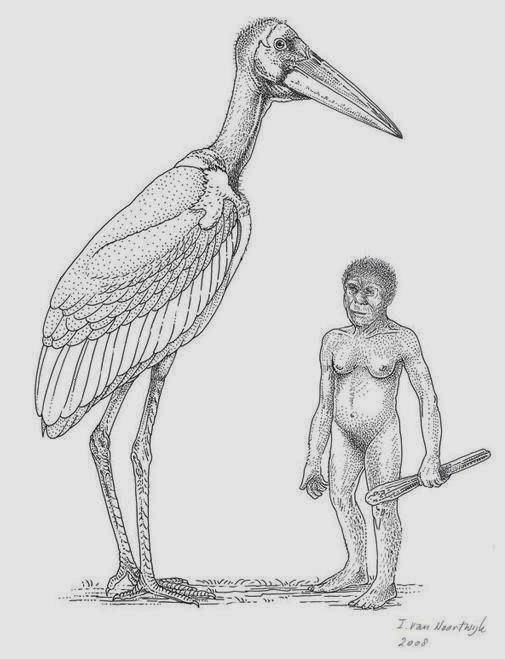 Formally dubbed Leptoptilos robustus, the giant stork of Flores stood approximately 6 ft tall and weighed up to 35 lb, due to its extremely heavy leg bones – on account of which it is likely to have been predominantly if not exclusively flightless. 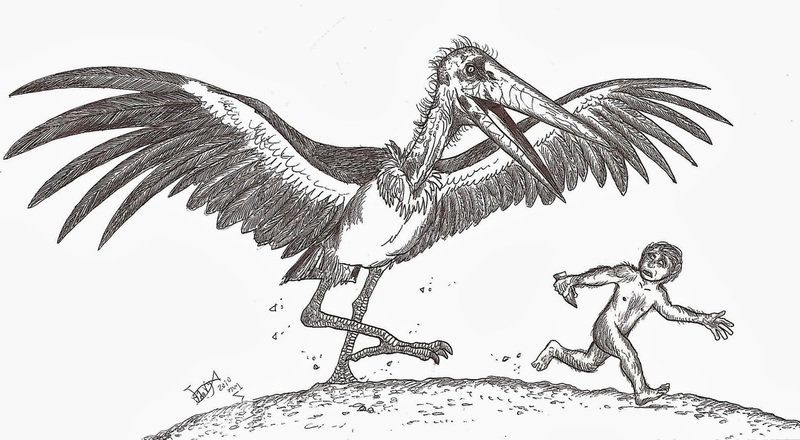 In European tradition, the stork brings newborn human babies to their parents – but in a major reversal of that benevolent role, Indonesia’s giant stork of doom may conceivably have hunted down such babies (possibly even older infants too) and devoured them. Only on the topsy-turvy island of Flores!